All good my man! Good luck with the icon! Maybe grind it out and collect as many loot boxes as you can. You could also buy all the blue items to force the lootbox system into giving you icons. Which one is the player icons? Blue? if it’s blue than buy up all the blue stuff. Yes, player icons are Rare (blue), while voice lines and sprays are grey. It was about time we got a Canadian Flag icon. Thank you for correcting me. I’ve edited my post. I was unaware of that strategy, still I really need to save some coins for Halloween, those skins are suually my favourite and since I"m cutting back my game time in I gotta be a bit more conservative then I used to. Thanks for the tips nonetheless I appreciate it. This was the issue before, when they discussed use of the Canadian flag previously. The flag is used on almost all of our international sports teams, so merch is part of it. Thank you for the response anyways. Is the legal hurdles for displaying country flags also hindering any possibility of seeing World Cup team skins as purchasable/collectible items in Overwatch? Just came to ask the same. I need a set of Canadian skins, real quick. I like you Jeff, finally we got an answer. 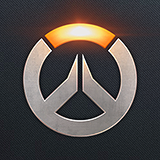 But I just can’t believe that Norway said ‘no’ to Blizzard for using the flag. Makes no sense. Never seen other games have issues getting rights for the flag, and all our neighbours is in. Give me a game that has international flags in it. Wow copyright on a flag, I have heard it all now. Good luck forcing them through next year. Any chance of getting a Scotland flag fed up of having to use the Swiss flag? These are all the player icons with flags. If you are using the flag as a symbol to refer to the country of the flag, that is a nominative use and almost universally allowed. Seems odd to me if copyright is the issue?